Peugeot has officially released images and details of the all-new RCZ R Sports coupe which was unveiled at the Goodwood Festival of Speed. 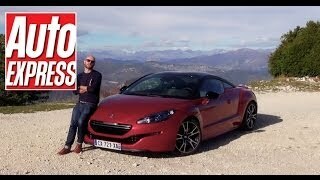 The 2014 Peugeot RCZ-R is the most powerful road-going model of Peugeot and will go on sale early in 2014. The high-performance car is powered by the 1.6-liter THP engine that develops 270bhp (199kW). 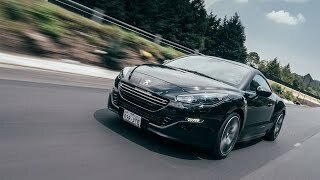 The 2014 Peugeot RCZ-R accelerates from 0 to 62mph in less than six-seconds and demonstrates the expertise of the brand with CO2 contained at only 145g/km. On the exterior each element has been designed specifically for RCZ-R to contribute to its dynamic performance and identifiable style. This include matt black roof arches, lowered suspension, 19 inch alloy wheels with a ‘R’ monogram milled directly onto a visible part, integrated large fixed rear spoiler, rear diffuser with two chromed exhaust pipes and a reworked exhaust system. 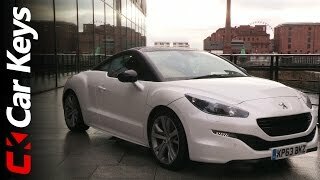 2014 Peugeot RCZ-R will be available in 4 colours: Moroccan Red, Nera Black, Mercury Grey and Opal White and also offers a range of custom made satin or gloss carbon roof treatments, decal designs and black mirror shells.